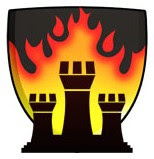 The Knights of Castle Kimbark: Was Fischer Planning a Comeback? 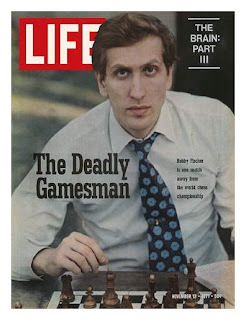 Not surprsingly, the media and blogosphere have been abuzz over the death of Bobby Fischer. Much of the outpouring has been the predictable ritual hand-wringing about the tragedy of a genius gone mad, but there have been a few deeper and more provocative reports that I think are worth reading. For the record, I yield to no one in my disgust over the late world champion’s conduct and bigotry in the later years of his life, but I am not so bound to political correctness that I cannot at the same time appreciate the pathos and bathos of the Fischer story. It seems necessary to state this because I have heard people say that to spend any time reflecting on Fischer is unseemly. I disagree. One does not have to like or approve of Fischer to find his biography fascinating, and finding it so, I would add, does not constitute a weakness of character or indifference to his failings. You are of course free to disagree, and if you do you may wish to read no further in this post, lest you be seduced into finding unwonted titillation in a tale you have already foresworn on moral grounds. 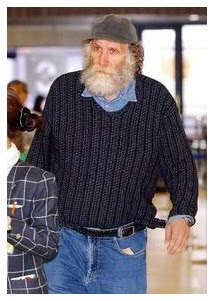 One of the more interesting stories to emerge in the past two weeks said that at the time of his death Fischer was looking to end his 35 years of exile from chess and return to the board. The Associated Press reports that GM Helgi Olafsson, acting on Fischer’s behalf, had exchanged e-mails with World Champion Vishy Anand about a match in which the two would play Fisher Random Chess, also known as Chess 960, a chess variant invented by Fischer in which the pieces in the back rank are scrambled, forcing players to be creative and rendering memorization of opening sequences moot. Fischer had said on a number of occasions that he was no longer interested in traditional chess. Would such a match really have happened had Fischer lived? I doubt it. He was known for expressing interest in such meets in the past—just last year there was talk of one between Fischer and Anatoly Karpov—but he always pulled out at the end, often claiming the prize money was inadequate, even when it was in the millions. If you’re looking for just a few pieces to read about Fischer that round things out, I’d recommend New York Times articles by chess writer Dylan Loeb McClain, Bruce Weber, and the always-excellent Ed Rothstein. Good blog posts include Chessdad64 and Streatham & Brixton. There is also this sad story about Fischer’s estrangement from his mother, Garry Kasparov’s reactions here and here, and this item about the looming fight over Fischer’s estate. Postscript: Speaking of Fischer Random Chess, thanks to the miracle of blog widgets you can now play a truncated version of that game (30 squares, 20 pieces) right here on this page, near the bottom of the righthand column.